Natalie is a computational biologist beginning a career in animal genetics. 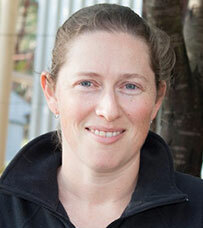 She's involved in improving the Horn/Poll test and genetic contribution programs. (for both haplotype and genotype probabilities), and providing results for animals with uncertain haplotypes. Natalie is also involved in developing programs for estimating individual genetic contributions and QA for genomic data.